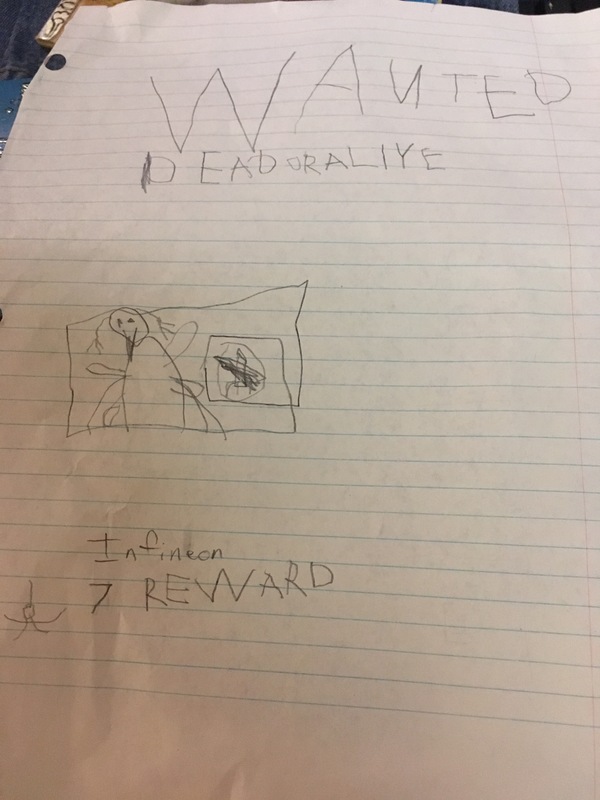 Jason and Isaac were playing some game they created and Isaac wrote this Wanted poster. He realized he wrote the N backwards but he liked it so he left it. 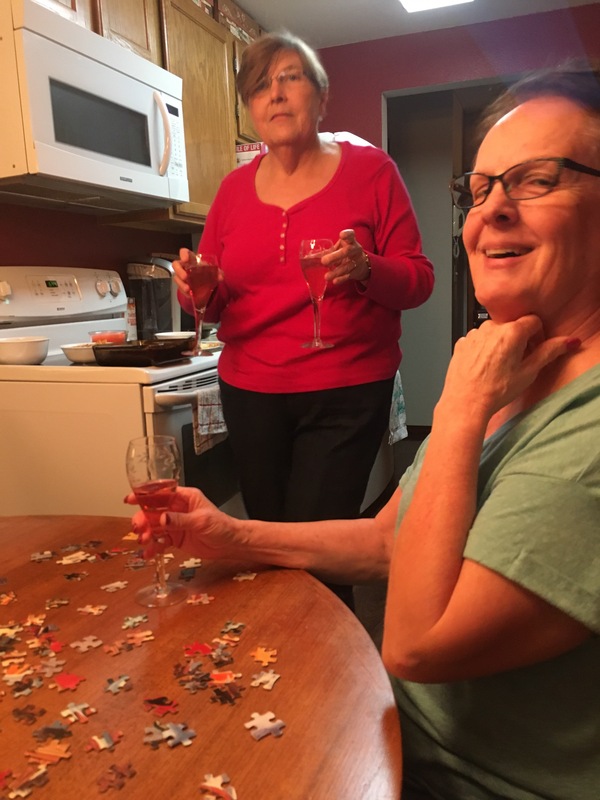 Wine and a puzzle at my mom’s house with Millie and my Mom!